It's a time to celebrate this holiday with your family and friends. With gift-giving being part of the tradition. Given that most of us are busy with our lives, it's a challenge coming up with unique gift ideas. Creating a homemade gift can be a time consume yet it doesnt need to cost a lots of money. If you short of money or want to send a precious gift to show them you appreciate them then creating one of the many homemade gift ideas listed below is your best option. And most important is they all easy to make. Learn how to make an aphrodisiac perfume. An easy way to do and much more cheaper than buy it from a store. Perfect valentine gifts for men too. Easter is a time of grand celebrations and fun. 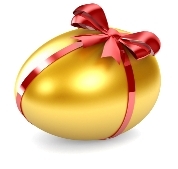 Hiding the Easter eggs around the house and the Easter Sunday egg hunt are very popular even today. You will love our simple and easy homemade christmas crafts ideas that emphasize the timeless favorite gifts of the year. Free and Easy Homemade Christmas Crafts Ideas for aromatherapy lovers. Making Holiday Blends with Essential oils for christmas. Christmas is just around the corner and it gets easier to say so as the sights and smells of the holiday bombard the senses. Explore the scent of christmas from traditional to religious one. 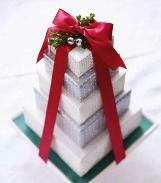 Be it tealights, votives, pillars, or tapers, Christmas Scented Candle are everywhere at the holidays. Follow these tips to buy and burn them wisely. Easy instructions on how to make your own aromatherapy soap using melt and pour soap base. Tips for Make Your Own Aromatherapy Bath Products, some useful hint and idea to make your bathroom turn into a luxurious bath spa. Making homemade essential oils is very enjoyable. If you have a flower or herb garden at your home, you can easily make your own essential oils.